After several posts on Ancient Egypt, let’s head east. 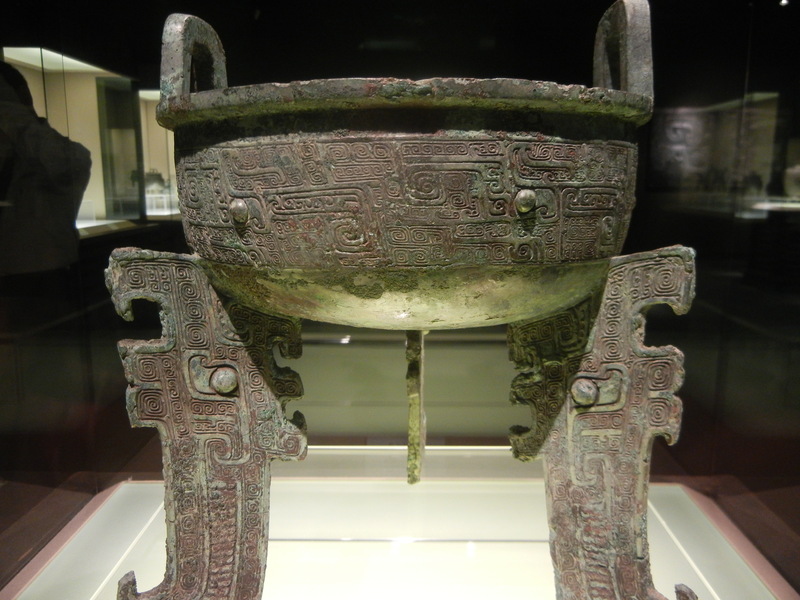 Ancient China and Ancient Egypt might seem similar on the surface. 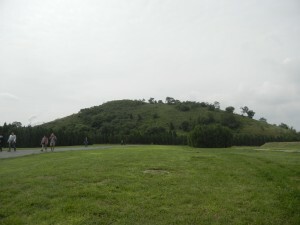 Both cultures developed ideologies about the central place of their king in the universe, invested in massive burial cults for them, and built huge pyramids (including the one pictured above for the Han Dynasty emperor Jingdi (188-141BCE). 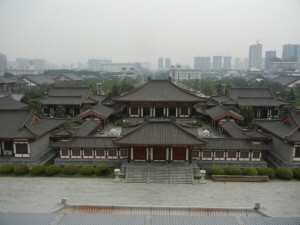 But Chinese civilization has had unique thought patterns, which can’t be reduced to other cultures. 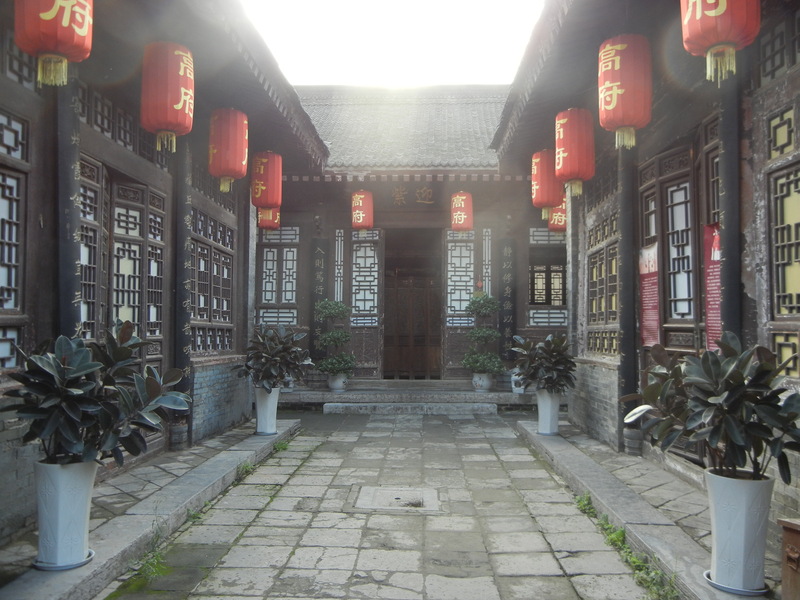 David N. Keightley went back farther than the Han Dynasty and studied thinking from the late Shang Dynasty (1200-1045BCE). He found that a lot of early Chinese thought was structured around the concept of the four directions (fang). This word had a rich range of meanings, including political groups, agricultural powers, cosmological forces, and border areas outside the kingdom, which could be hostile. Kings invoked the 4 fang when they sacrificed and conducted divination. Keightley noted that the late Shang elites thought that symmetry, pattern and order were beautiful. He felt that they wouldn’t have enjoyed the wilds of nature. Ancient Egyptians also preferred symmetry, as you can see in a post on Egyptian temples. But Egyptians’ intellectual landscape was more dominated by polarities than 4 directions. The flow of the Nile, and the rising and setting sun fused in their main model of reality. 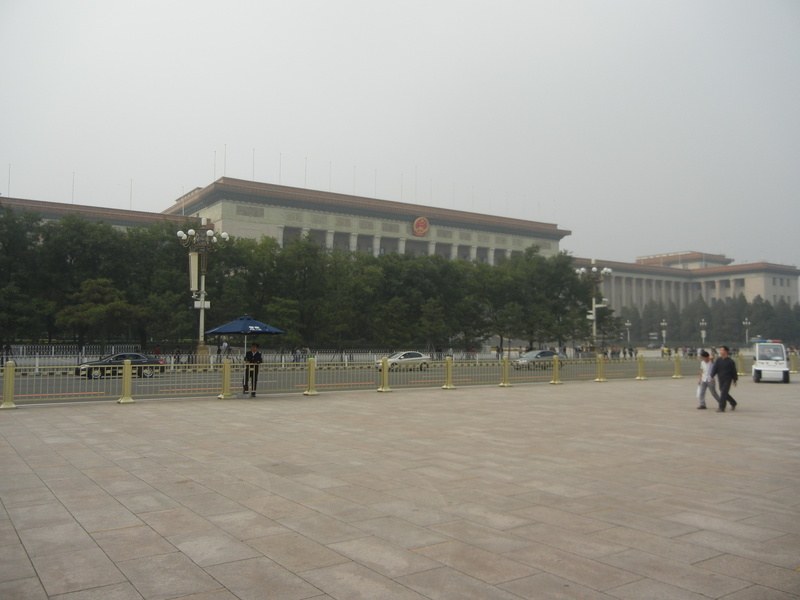 But some key features of China encouraged people to structure their thought around the 4 cardinal directions. 1. 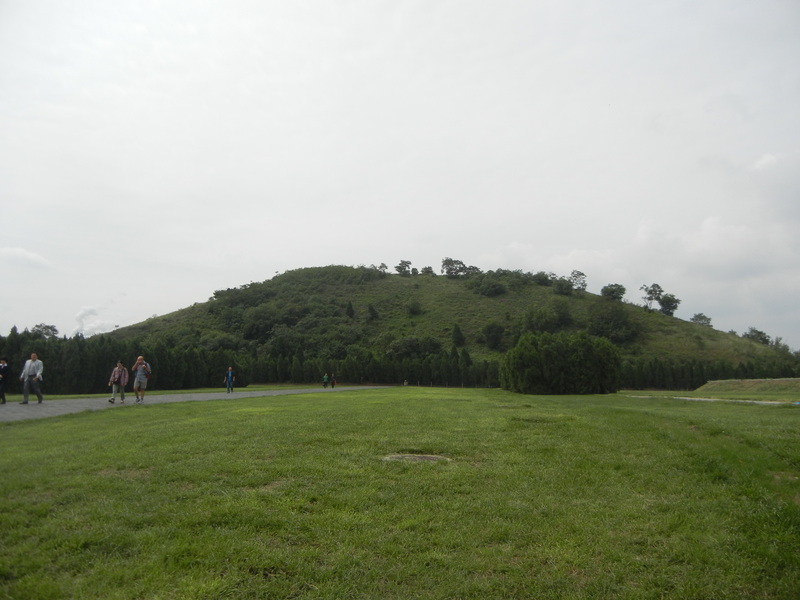 The Shang Dynasty presided over a large plain north of the Yellow River, in Henan and Hebei. This wasn’t the simple world of the Nile, which was a narrow ribbon of fertile land between deserts. The world of the Shang Dynasty was a large expansive land, and much of it was fertile for millet growing. But it was more unpredictable than the Nile–vulnerable to storms, floods and droughts. The idea of the 4 directions thus provided a comforting sense of order. 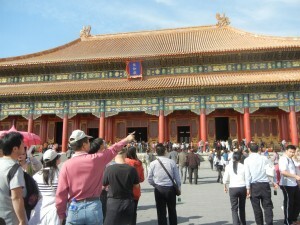 Beijing’s Forbidden City is laid out according to the 4 directions. 2. The Shang was surrounded by other states. Sometimes they fought, but they often traded. 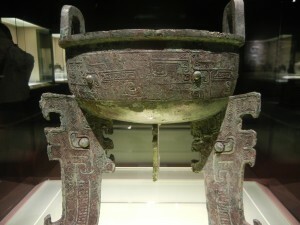 The traditional idea that the Shang was the only state at that time is a myth that the Zhou rulers developed when they conquered it. The concept of the 4 directions was a handy way to order a world of many states on all sides–kings could conduct rituals for them and feel a sense of security. 3. The sun blazes much more often in Egypt, so it was natural for ancient Egyptians to focus on a sun cult. The Shang lands get hot and cold–seasons alternate. Nature is a plurality of seasons and forces. The sun rises in the east and sets in the west, but its orbit also moves between the north and south. The late Shang did have sun cults, but Keightley wrote that diviners inquired much more often about wind and rain–forces that shaped farmers’ lives in ancinet China, but not in Egypt. 4. Many towns had a squarish shape, with the ruler’s court in a central area. 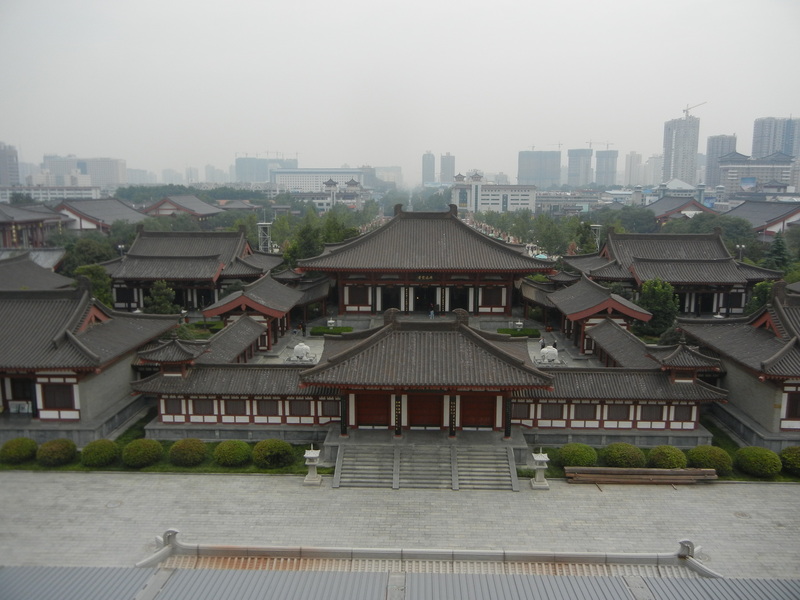 Cities throughout China’s subsequent history were laid out in this regular, symmetrical pattern. 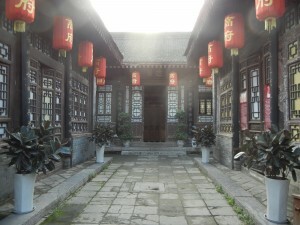 The traditional hutong style house (pictured above) follows this pattern. So do many temples. So, many factors encouraged people in the Shang dynasty to think in terms of a cohesive community oriented to the 4 directions, which was controlled by a central elite. China’s natural and political landscape was larger and more complicated than happy Egypt’s, and it needed this conceptual framework to keep it manageable. 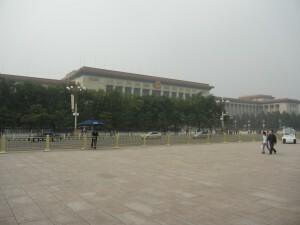 –in modern Tian’anmen Square, Beijing. 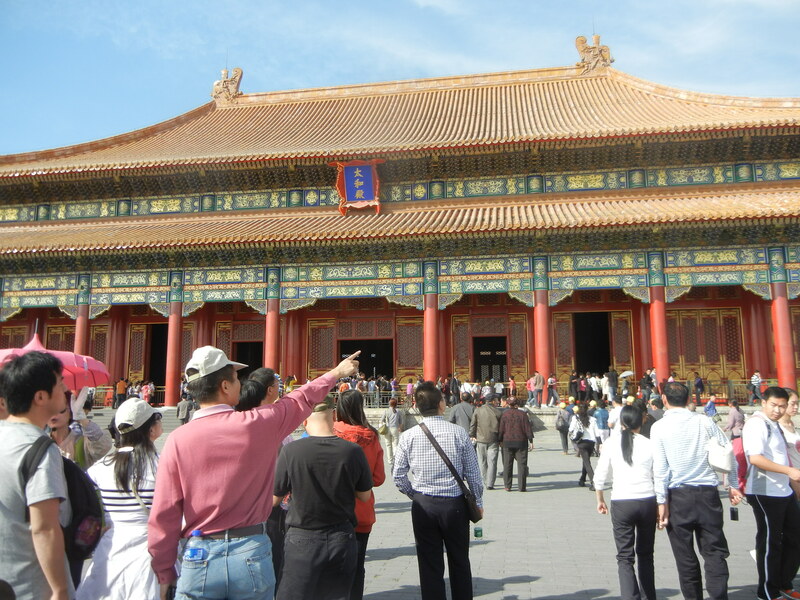 China’s ancient thought patterns have very deep roots, and they still live today. Many other cultures have structured their thought around 4 cardinal directions, including Mayan, Aztec, Navajo and Yoruba. But China developed in unique ways, and she blended other ideas with them, and synthesized one of the most fascinating ways of thinking about and representing reality. We’ll soon see how.